﻿Would you like to try something new? Do you study or live in or around Brno? Do you dream of becoming a famous singer? 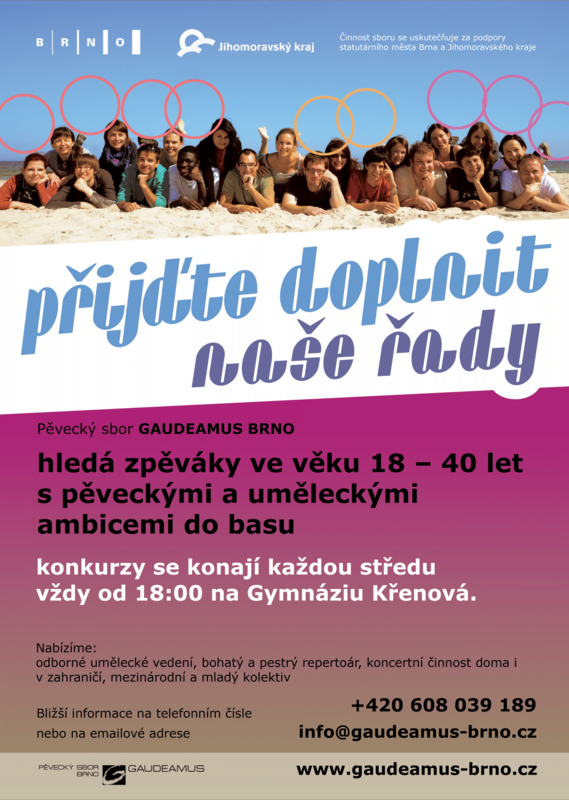 ﻿We regularly meet once a week for rehearsals, take part in and have many interesting activities and, of course, perform concerts all over the Czech Republic and abroad. Come and sing with us to see everything with your own eyes. Any experience level is welcome. Info describing newly added content of pages in news section is generated automatically. Since that, users may be sure they know about all new content. Der Chor wird von der Statutarstadt Brno und der Kreis Südmähren finanziell unterstützt.